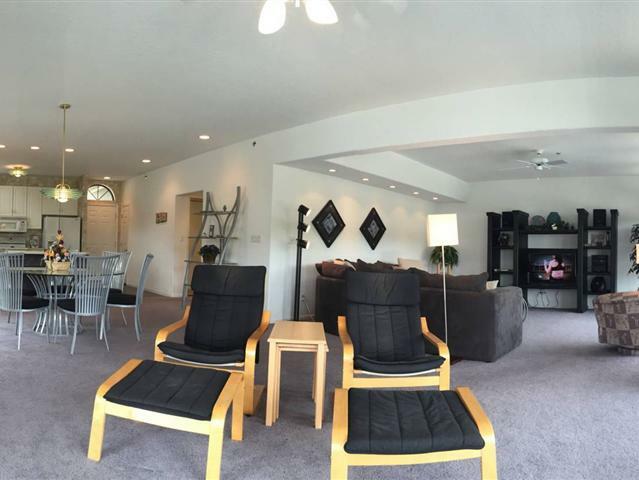 Very nice 3 bedroom 3.5 bath waterfront condo. the large kitchen complete with everything you will need for your stay at the lake: all appliances including range, new refrigerator, dishwasher, microwave & garbage disposer, small appliances, pots and pans, down to the silverware! Dining room accommodates 6 guests at the table with an additional 3 at the breakfast bar. Living room features wall to wall windows for one of the best views in town! Sectional with a few occaisional chairs, Flat screen TV, DVD Player and stereo. Out on the deck enjoy the screened portion with ceiling fan and gas grill or the longer portion with ceiling fans and chairs for relaxing. Master Suite includes lakeside sliding doors, King sized bed, TV, private bathroom with vanity/sink area and seperate water room with toilet, jetted tub and shower. Master Bedroom 2 features a Queen bed, TV and private bathroom while Bedroom3 features Queen bed, TV and private bath. Enjoy Lazy Days R-6!